Apple has always opted for a very simple design, with smooth lines, and with their latest generation, they used rounder corners once again, which, combined with the metallic body, result in a very elegant look. Even though there was a lot of buzz created around ‘Bendgate‘, we still consider the iPhone 6 Plus one of the best looking devices of the moment. On the other side, Samsung has just started using metal for their phones, with the Galaxy A line. The Note 4 is not bad at all, but that plastic still makes it look a bit cheap. Maybe the most difficult decision of this week’s clash, as we’re talking about two completely different ecosystems. But we have to do it, right? So, the Samsung Galaxy Note is running on Android 4.4 KitKat, customized with the TouchWiz user interface, while the iPhone 6 Plus is using the iOS 8. We all know that Android’s biggest advantage is that it’s highly customizable and brings way more features, iOS has its pluses too, so this comparison is just like the one between Coke and Pepsi. Still, we love to have more featurer over the ease of use. 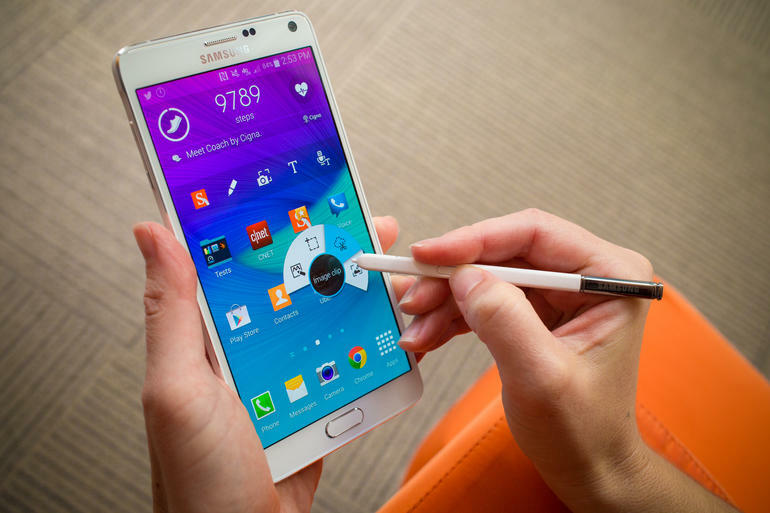 Winner: Samsung Galaxy Note 4. Under the hood, the Galaxy S4 is basically loaded with the best hardware of the moment: the Snapdragon 805 CPU, with a quad-core Krait 450 CPU, clocked at 2.7 GHz, alongside 3 GB of RAM and 32 GB of storage, expandable with up to 128 more. On the other side, the iPhone 6 Plus, might seem a bit outdated, with it’s A8 chipset, with an 1.4 GHz dual core CPU, just 1 GB of RAM and internal storage which can reach 128 GB, but we’re actually dealing with a very advanced CPU, perfectly optimized for iOS 8. So, it’s pretty hard to decide which one is better, as they actually match up. 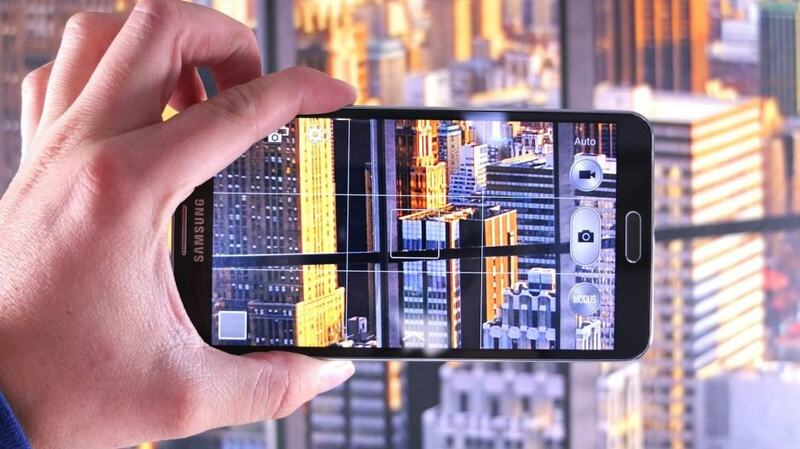 Even though iPhone 6 Plus’ 8 MP sensor, with optical image stabilization can take some amazing shots, it just can’t be compared with the amazing camera used on the Samsung Galaxy Note 4. The 16 MP snapper takes some amazing pictures, not to mention its features, like dual shot of simultaneous HD video and image recording. It is well known that the battery is not one of the iPhone’s biggest pluses. The 2915 mAh power pack on the 6 Plus is a bit better though, thanks to the expanded capacity, being pretty close to Galaxy Note 4’s 3220 mAh battery. After all, this depends pretty much on the settings of your phone and how much you’re using. 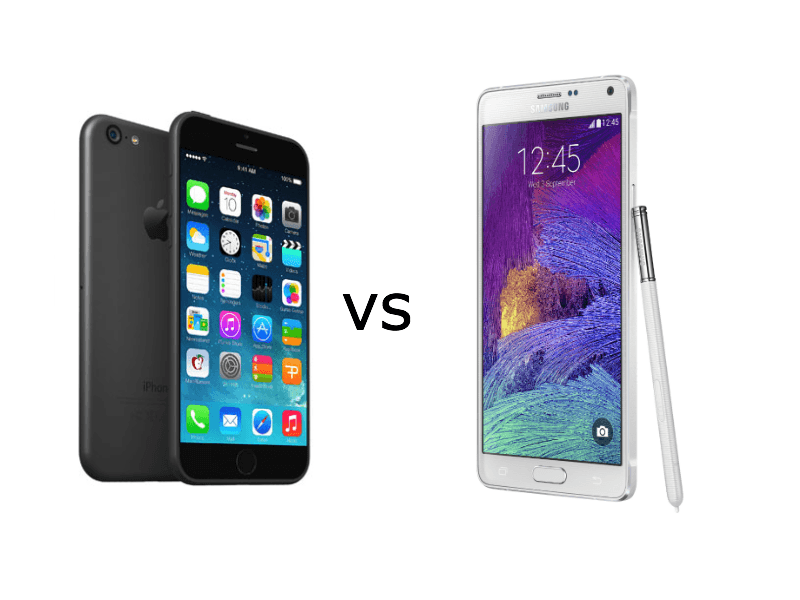 Conclusion: Both are excellent devices, but from certain points of view, Samsung’s Galaxy Note 4 is slightly better, but we can’t ignore how easy to operate the iPhone 6 Plus is. Still, this is just our opinion and we’re expecting your opinions in the comments section below!